You should have entered the Winter Competition! Although that wooden coaster would have been disqualified for being too tall. 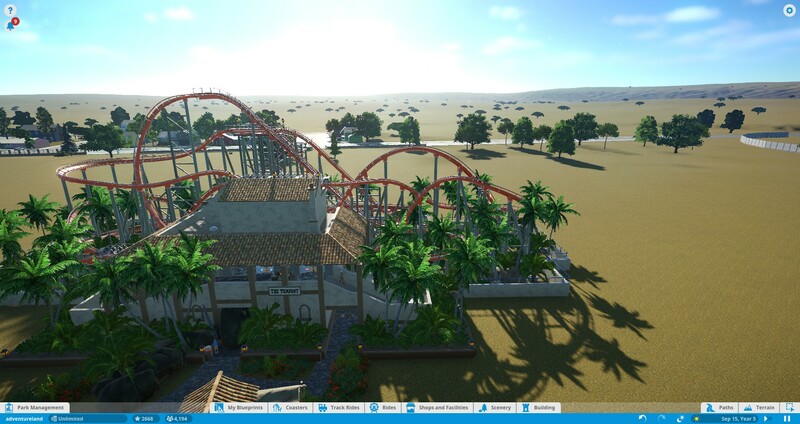 I would have redesigned it for being in height for the contest or made a more compact coaster for the contest. I have made a more compact design it may still been too high for contest but i feel it is more compact and less fearful for guests to ride it. this new update is the new comet redesign i will likely be updating park with more touches soon. 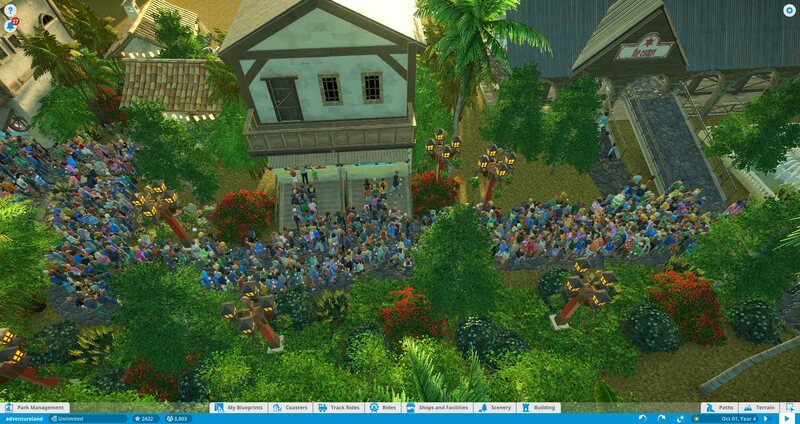 I hope make own go-cart track that ride in back was placed so i could get quests to pour into park as its temporary. I will be doing new update with go-cart track and other new rides in new area where was originally beyond the coaster. I will do new edits and shifts around park too. I am just gone for pure fun so i am trying come up new ideas and touches and updates to all of park in many updates to come as i will do it for pure fun. Space between your screenshots please. I will do so sir sorry for the error. I am working hard on next updates as i do plan a go cart track and other updates for next update will be posted here as replied to you sir. I am gonna start work on my go-kart track and other ideas. Is this loosely based off of the Valdosta, GA park or is it its own creation? 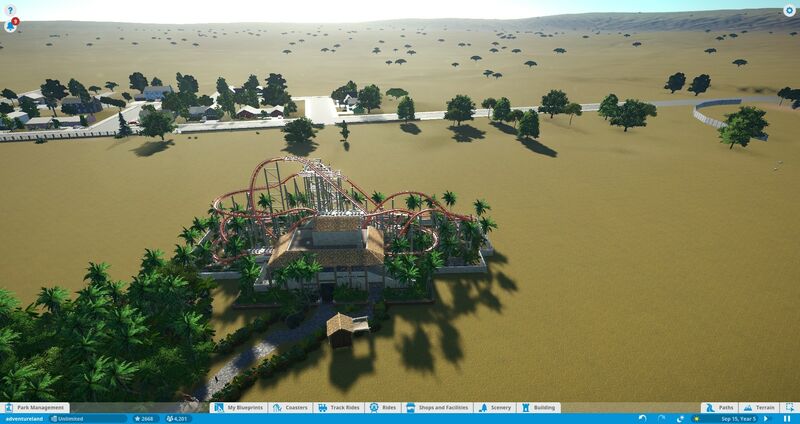 it is not based upon no park in real world as its own creation which i am working on next update which will update the park. It's looking good, very good. Love the custom background you are building. You have strong building capability, this place looks very promising. Thank you for posting it. -We are the PC makers. We will add your biological and technological distinctiveness to our own. Resistance is futile. i will be providing a park season one as soon as i have enough ready for it. 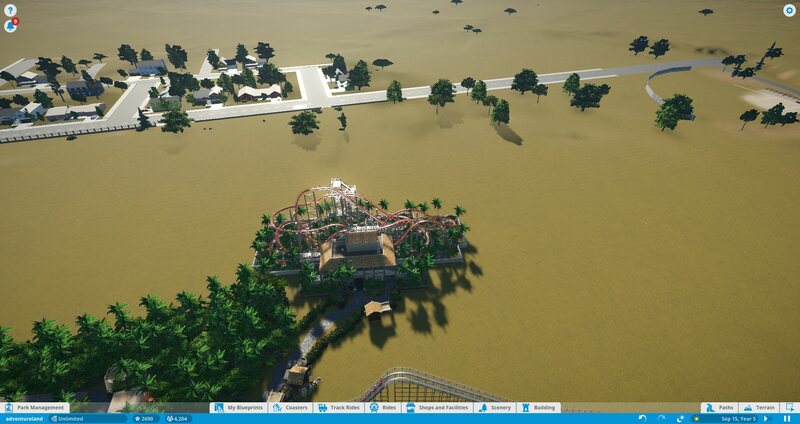 I would thank you both for comments.It will be bigger park once done. I am likely to remove some parts of the Winter Competition city it is based upon for more of park in future. 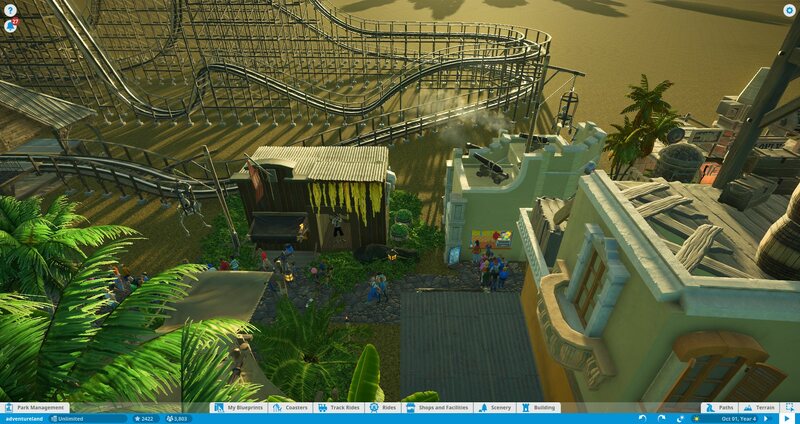 The comet is now done as i have overview above of ride which is done as just to theme the ride overtime. I have a boat ride planned. which i provide a teaser image of this ride's building which i use Nightbringer's Oriental Temple(http://steamcommunity.com/sharedfiles/filedetails/?id=1173479464) in use for it but i do plan use this for a wiid boat ride down the rivers of the Orient in Oriental adventures which will be a fun adventure down that world. teaser image below of temple that begins ride. I hope you enjoy my next update as i present the jungle drift and the redeigned comet. 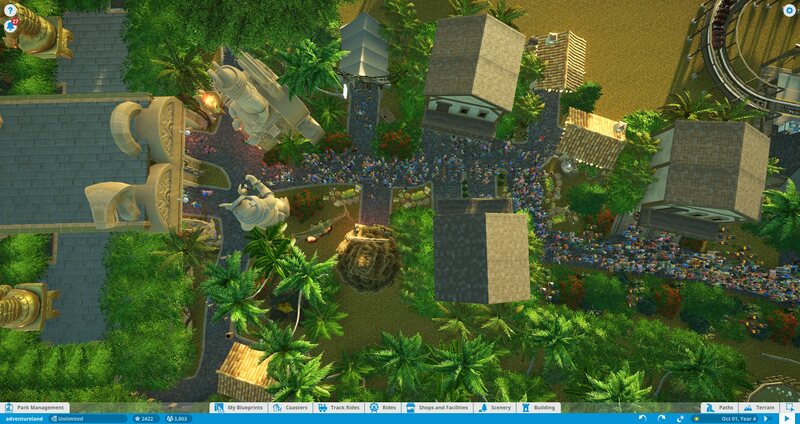 I hope you enjoy my update as this adventureland update was done smaller scale as i plan another big update in future. 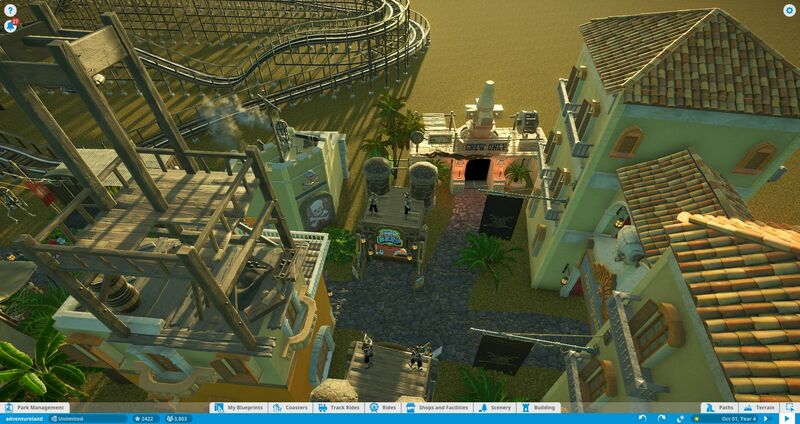 I reveal adventureland resorts:westworld aka westworld which is my second themepark addtion as i decided upon to reveal this new idea for my second park gate as this westworld update is ready go for phase one as i use WestWorld | A small western park(http://steamcommunity.com/sharedfiles/filedetails/?id=1304228615) from Kyote which i would love take this park project to a new level with this park update today which I present adventureland resorts to you today. Welcome to adventureland resorts parks which will present new thrills often. I hope you all enjoy it as i plan to expand upon both areas in updates together as part of adventureland resorts parks brand which will be my future updates banner for projects. I hope you enjoy a trip to westworld area which is Kyote's westworld which i frankly thought was amazing needing an update that would bring something new to table. I hope you enjoyed both expansions today as i will update both park areas as part of adventureland resorts parks brand parks. I did a quick update which i added a cover to the balloon ride which i do want to thank you for your comment as i feel that ride is amazing. 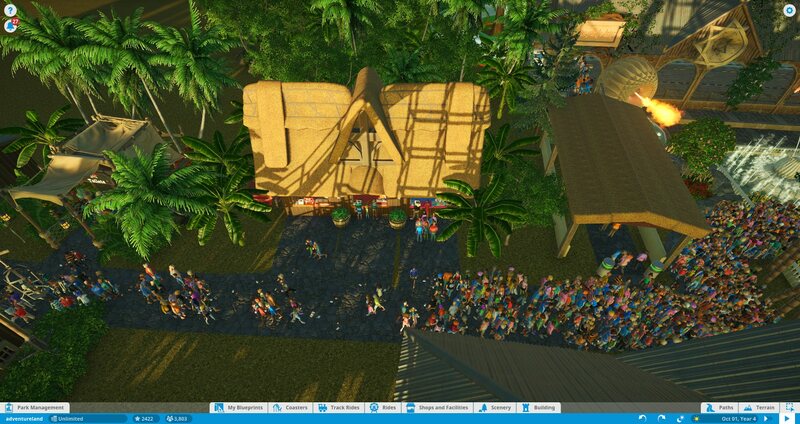 adventureland shopping court is done now as i have added even gardens to adventureland area. 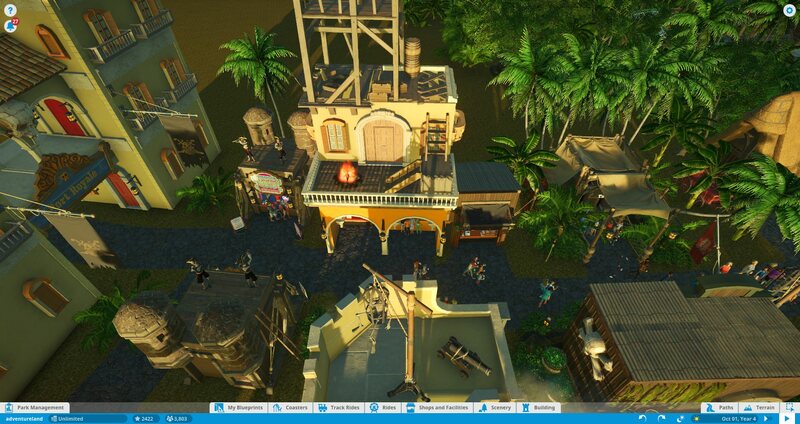 I have new area for adventureland as my third park area of port royal which is my pirate themed adventure area. 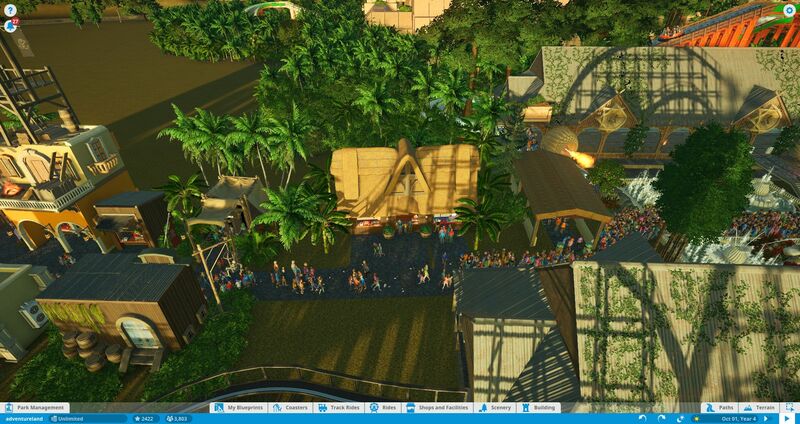 I have finalized adventureland park land for adventureland for moment as added new shops and made it more fitting for a themepark as decided just leave them out of pictures as wanted show you the tempest which is my last coaster for adventureland parkland for moment as i will begin work on port royal as i have few ideas for that area.